I thought you might be interested to know that My Garden School are offering a 'Back To School' offer throughout September and October 2015. 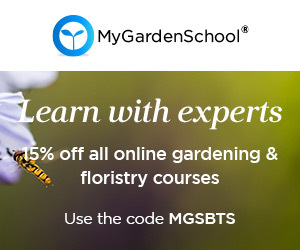 MyGardenSchool courses include: Noel Kingsbury: Planting Design with Perennials, Harriet Rycroft's Container Planting, Paula Pryke's Contemporary Floral Design, Andy McIndoe's Gardening for Wildlife and many more. Details on the courses available and about the offer can be found here.